Part of the appeal of Oriental rugs and carpets is that they also capture their individual place of production – if you know what to look for. 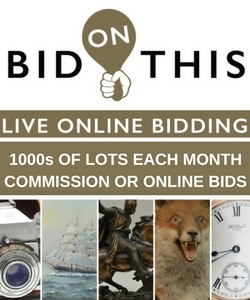 Christie’s specialist Louise Broadhurst shares some tips. Most carpets and rugs are classified by the surroundings in which they were woven — whether hand woven upon the small loom of a nomadic tribe, part of a cottage industry within a local village, or produced in a professional or Royal workshop within a city. Court carpets: Made in the 16th and 17th century for the Islamic courts, Royal carpets had the greatest influence of all on carpet design, though relatively few survive today. Tribal carpets: Nomadic, or tribal carpets, were produced by different ethnic groups; predominantly woven for their tribe’s own use, rather than as commissions or to be sold. Their designs are a reflection of distinct tribal histories and traditions. While the carpets could be as long as they wished, the width of their rugs could never exceed eight feet, the standard size of the loom. Village carpets: Were produced in settled environments: where the loom was erected within the home and the carpets woven without a drawn design, relying on the memory of the women who wove them. This strategy meant that each of the carpets contained small idiosyncrasies, both in their construction and pattern — a factor which only adds to their charm. Upon completion, carpets were taken to the nearest regional market, where they would carry the name of that village. Here, they would either be sold to locals, or handled by a merchant for export. Town carpets: Cities such as Tabriz, Heriz and Kashan are synonymous with carpet weaving. In the last quarter of the 19th century workshops were established specifically to meet the demands of the Western market, with master weavers overseeing the production of finely woven rugs and carpets. One of the most famous workshops in Kashan was that of Hajji Mollah Hassan Mokhtashem, whose carpets are recognisable by the harmony of their design and colouring, the purple silk finish of the selvedge (the material binding each side cord) and the maker’s consistent use of the very best wool, which contained a particularly high quantity of lanolin. Ziegler: By 1883, European demand for Persian carpets had grown so great that the Manchester based firm Ziegler and Co opened its first factory in the district of Sultanabad, West Persia. 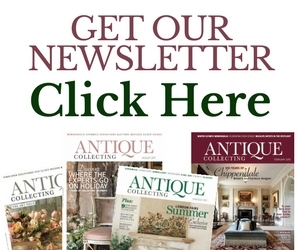 Read our full article ‘Collecting guide to Oriental Rugs and Carpets’ in the latest issue of Antique Collecting. 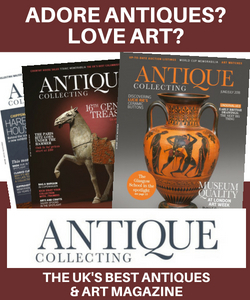 Find out here how to subscribe to the UK’s longest running antiques and art magazine. You can also save 40% on the RRP of £45 for Persian Flatweaves by Parviz Tanavoli, by registering and ordering online at our sister site www.accpublishinggroup.com and entering the code X16. Parviz Tanavoli, a leading Persian expert, explores the creativity and skill that these flatweaves embody, making them works of art.